1-877-398-4708 Picking an effective drug treatment program in New Jersey is crucial to getting your life back! 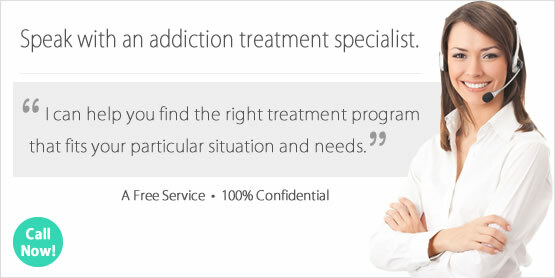 Call 1-877-398-4708 and speak to one of our addiction specialists now. We offer the most comprehensive list of treatment centers in New Jersey. Do you need help finding a drug or alcohol rehab facility in New Jersey? Looking for a Drug Rehab and Alcohol Rehabilitation Program in New Jersey? If you know someone in New Jersey who is struggling with any addiction, there is a drug rehab program in the state to help them even if they have failed to stop their addiction in the past. There is also help for loves ones, when someone won't get help on their own or refuses help. This is called a drug intervention, and loved ones can speak at a drug treatment counselor at a drug rehab in the state to find out how to hold a successful intervention to get someone into rehab right away. Addiction can take such a devastating toll so quickly, so before any more consequences take place for anyone, speak with a drug treatment counselor in New Jersey who can explain how the process works and how to get started in drug rehab today. In a single-day count in 2013, 36,605 individuals in New Jersey were enrolled in substance use treatment, which was an increase from 31,634 individuals in 2009. Among those in drug rehab for treatment in 2013 in New Jersey, 40.1% were in treatment for drug use only, 14.3% were in treatment for alcohol use only, and 45.5% were in treatment for both drug and alcohol use. The most significant drug problem in New Jersey according to treatment admissions in the state is opiate addiction and dependence, with nearly 50% of individuals stating that heroin and prescription pain killers were their drugs of choice. Heroin admissions comprise nearly 38% of treatment admissions so it is a more significant problem than prescription opiates, however many individuals who abuse pain killers progress to heroin addiction which is very likely the cause of this higher rate. In New Jersey, about 458,000 individuals aged 12 or older are dependent on or have abused alcohol within the past year, but only 7% of residents who were alcohol dependent received treatment. Nearly all outpatient, inpatient and residential programs deliver alcohol treatment in New Jersey, and there are far more solutions than just meetings and support groups which aren't very effective for individuals with long term chronic alcohol problems. AA for example is a common go-to solution, but this program actually has a very low success rate. Alternatives to AA include holistic programs in the state and other types of treatment that look beyond the traditional methods such as 12-step to provide individuals with the wherewithal to experience permanent breakthroughs. There are around over 370 drug rehab programs in the state of New Jersey, with several different type of treatment and intensities of treatment to choose from. There are 330 outpatient programs, and 55 of these programs deliver opiate maintenance services to clients who are dependent to heroin and prescription pain killers. There are nearly 11,500 New Jersey residents taking part in opiate maintenance programs, which entails administering methadone or buprenorphine to opiate dependent clients daily so they don't go through withdrawal. There programs however don't deliver any actual treatment beyond the drugs they administer. There are alternatives however, and when outpatient treatment isn't sufficient opiated addicted clients can benefit greatly from intensive residential and inpatient treatment. There are 56 facilities which deliver non-hospital residential treatment and 15 hospital inpatient facilities. What does Inpatient Rehab in New Jersey Involve? Most inpatient and residential clients in New Jersey are participating in long-term non-hospital residential treatment services, which are very often the programs boasting the highest success rates in the state. Inpatient and residential treatment programs are the most ideal choice when outpatient rehab has been unsuccessful. It is best however as the primary option for individuals who wouldn't benefit from an outpatient option in the first place, because they have struggled with a long term chronic drug or alcohol problem. Clients in New Jersey can participate in either a short term 30-day program or a long term program which can last anywhere from 60 days to several months. Other services besides addressing one's addiction in treatment could include those which could help address a co-occurring mental health disorder. What does Outpatient Rehab in New Jersey Involve? Traditional outpatient facilities in New Jersey involve clients in group, individual, family, and marital/couples counseling which can take place anywhere from one day per week to every day of the week depending on the intensity of outpatient treatment chosen. Some programs offer a wider range of services including behavioral modification, motivational skills training, and other holistic treatment services. There are some outpatient facilities in the state which can provide services to individuals with co-occurring disorders, which are mostly day treatment/partial hospitalizations facilities in the state.